Easter Camp was on the 3rd - 5th April. 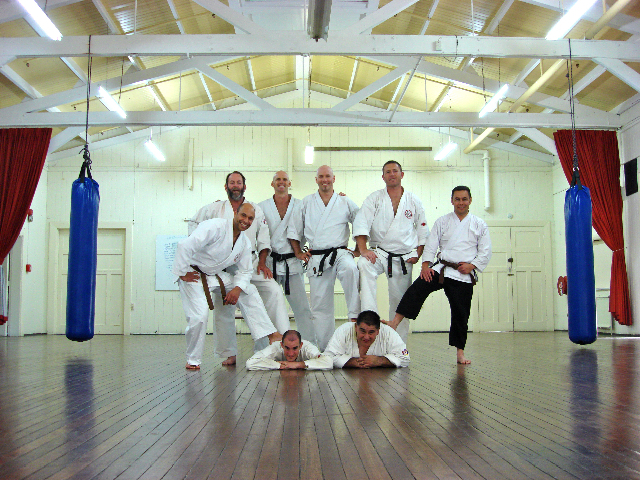 Colin Berry and Tim Murray graded to Shodan in front of Frazer, Dave and Darel. It was a great weekend we all look forward to next year. 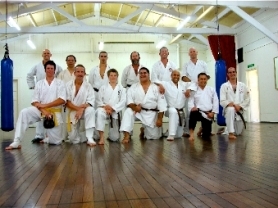 On Saturday 25th April, Wayne Tukapua graded successfully to 1 Kyu and Martin Taylor to 3 Kyu under the guidence of Dave Leathwick yondan, Darel Hall sandan and Colin Berry shodan. Also in attendance were Nic, Paddy and Tim just to give them some good old yoshukai support. A fun time was had by all those that weren't grading and the after match was pretty good as well. Congratulations to Wayne and Martin.